The Logan name game appears, sadly, to have been in play again, this week. 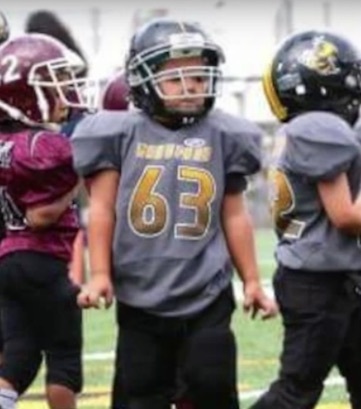 On Monday, December 7, 2015, a 6-year-old boy named Logan was killed. Details of that tragedy, in a moment. In the 1970s, in Fortean Times, I first wrote an article about the "name game." I then extended my thoughts on this matter in my book Mysterious America (starting in 1983, through the revised edition of 2007), I highlighted in one chapter, the "Name Game," adding to the historically gathered examples. ...devils' names and Fortean places. The fact that some areas had strange and weird vibrations or events connected to them gave Native Americans and later settlers enough evidence to actually label these locales after the Ruler of Hell. In America, the use of the name "devil" regarding certain geographical fixtures, therefore, gives some indication of a history of mystery surrounding these spots. Needless to say, through my other books and this Twilight Language blog, the "name game" has been revisited often. I've noticed, of late, that the name game is focussing on the moniker "Logan," and it is intensive, including mass shootings, especially for Utah. In Gaelic the meaning of the name Logan is "from the hollow." In Scottish, the meaning is sometimes translated as "Finnian's servant." Throughout 2014, I noted that Logan popped up, now and then, with the Ebola discovery, and in other incidents, too. A six-year-old Kentucky boy was stabbed to death by a man who broke into the family home in an apparent random attack. Logan Tipton was sleeping in his bed early Monday morning [December 7, 2015] when a stranger repeatedly stabbed him in the head with a kitchen knife, according to authorities. The suspect also tried to attack Logan’s siblings, but they only suffered minor cuts. Logan’s dad subdued the intruder, who is unknown to the family, until police arrived. 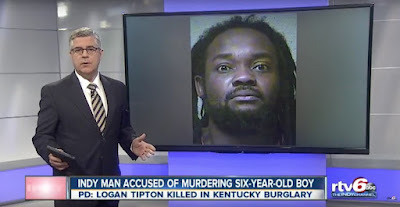 “The boy’s father says his oldest daughter helped hide her siblings and fought with [the suspect] until her father could get there to help,” NBC News affiliate WTHR noted. The suspect, identified in multiple media accounts as Ronald Exantus, 32, is reportedly a registered nurse from Indianapolis, which is about 200 miles from the Versailles, Ky., pre-dawn crime scene.“According to court documents, the intruder… wandered around the home before walking up the stairs and stabbing a sleeping 6-year-old boy several times in the head ‘with a large kitchen knife that he obtained in the house,'” Fox 59 reported. In a court appearance on Monday, Exantus pleaded not guilty to murder and first-degree burglary and is being held on a $1 million bond. Authorities have been as yet unable to determine a motive for this horrible crime. The suspect is scheduled to be due back in court on December 14 for a preliminary hearing and on January 6. Additional criminal charges are also possible in the case.Exantus confessed to the killing, according to the New York Daily News and other media outlets. “Versailles police say they can’t find any connection between Ronald Exantus, who is charged with murder and burglary, and the Tipton family. Police say Exantus, who is originally from Florida, but lives in Indianapolis, does not appear to have any criminal history,” WKYT in Lexington reported. Prosecutors plan to seek the death penalty in the tragic death of Logan Tipton given that it was committed in the course of another felony.“Exantus’ attorney Bridget Holfer said she didn’t think Exantus was mentally competent and he may have schizophrenia. Police said Tuesday they did not why Exantus targeted the child or his house,” the Lexington Herald-Leader reported. There is a lack of clear history of the meaning of the name Exantus. It is frequently used in the Haitian language and appears to be French in origins. The name is found in Haiti, Florida, New York State, and is concentrated in one area in France, Ile-de-France. Why would the Indianapolis resident Ronald Exantus pick Versailles, Kentucky, to randomly stop? Versailles, Kentucky, is named after Versailles, France, located near Paris. The etymology of Versailles is clear that the argument tends to privilege the Latin word versare, meaning "to keep turning, turn over and over", expression used in medieval times for plowed lands, cleared lands (lands that had been repeatedly "turned over"). This word formation is similar to Latin seminare ("to sow") which gave French semailles ("sowings", "sown seeds"). Source. My sympathies go out to the family. Looking up the word-name Exantus in a Latin dictionary I find a root word exanima referring to something being breathless, lifeless, dead. Logan's last name, Tipton, connects to "London Tipton", a character on the Disney Channel's "The Suite Life of Zach & Cody". Actress Brenda Song played the character. The character's name was a comic reference to celeb Paris Hilton. Tipton, a name from Old English, means homestead of Tibba. First recorded spelling of Tipton was during the reign of King Edward VI, "the boy king".